A writer and editor who has been covering computer peripherals and other consumer electronics since 2004. The category of computer peripherals is a pretty broad one, and it contains many devices with the potential to make or break your computing experience. Here are 10 technologies and features that can push you to the former end of this experience, rather than the latter. Nano (or pico) receivers: These tiny little receivers are designed to sit nearly flush with the edge of a laptop, so you can plug them in and forget all about them. If you're nervous about traveling with anything sticking out of your laptop, most peripherals now come with nano receiver placeholders somewhere on the mouse. Companies have become quite creative with their placeholders. Typical hiding spots include the underside of the device, or many pack some kind of hinge or push-button slot. Solar technology: Never run out of batteries again with solar technology. Solar technology is most famously found on Logitech's line of keyboards, but some companies are also including it in battery packs for portable devices. High definition: What used to be an elite technology is becoming the de facto standard. Don't get left behind when you're buying a new device just to save a few dollars. Pay attention to the fine print, however. What many companies claim to be high def is actually 720p. Full high definition is considered to be 1080p, although this may be more than your needs. 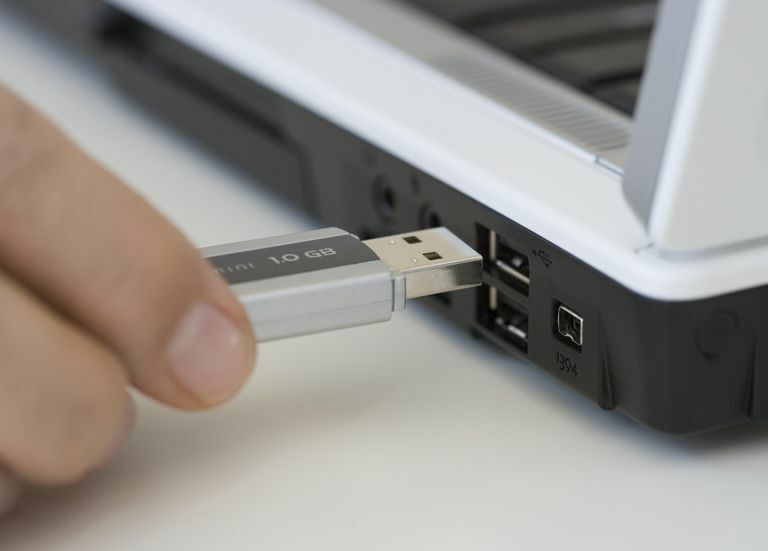 USB 3.0: Like high-definition, the new USB standard used to be found only in high-end devices, but it has trickled down into your everyday portable and external hard drives. Since a backup hard drive is not a device you want to have to replace often, don't skimp and stick with USB 3.0. Pico projectors: These things are tiny and they're packing more features than ever. While you'll have to pay (and then some) to get the higher-end features like HD (albeit 720p) and a decent number of lumens, contending pico projectors are out there. If they just can't offer you what you need, take a look at some of Epson's portable projectors. Noise cancellation: This technology in headphones can do a superb job of taking your noisy office and turning it into a serene workplace. That lady who talks to her cactus and sneezes with triumph every quarter-hour will transform into a peaceful hum. The downside is that it can get expensive, but consider your sanity worth the cost. Use Anywhere Mouse Technology: This technology comes with different names, depending on the company that has manufactured the mouse. Logitech calls it Darkfield, Microsoft calls it BlueTrack, Genius calls it BlueEye. Although results will vary, they all have a similar purpose: let people mouse on surfaces you wouldn't think you can mouse on. Examples include marble countertops, couches, even park benches. All of the companies have their caveats with the respective technologies, so just read the fine print -- especially if you have a glass or mirrored desk. Unifying Technology: This technology is exclusive to Logitech devices. It allows multiple devices (up to six) to be paired using the same nano receiver. If you're using several different Logitech peripherals at the same time and you are running low on the open USB ports, this can be a lifesaver. It can also be helpful if you like to swap mice from time to time and you don't feel like constantly swapping receivers along with it. The one downside is that it does, naturally, relegate you to Logitech peripherals. Automatic Backup: Do the old "set and forget" when it comes to backing up your devices, and you won't end up on our Horror Stories list. Extra USB Ports: Some manufacturers pack these into their keyboards, and let's face it -- you can never have too many USB ports. What Features Should You Look for in a New Keyboard?